Looking for some easy recipes that are inexpensive to make this summer? How about yummy bean burritos? 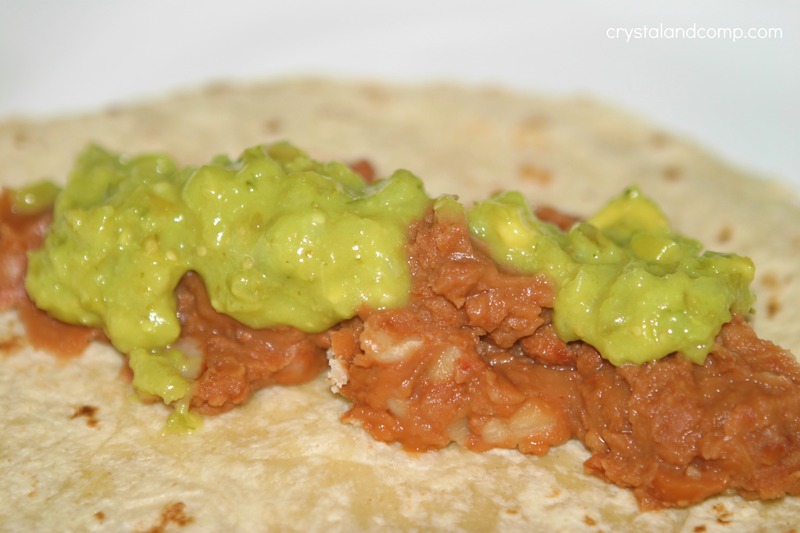 I incorporated the Avocado Verde salsa from #WhollySalsa to add some extra jazz to the recipe. It added a yummy, tangy, avocado-y element to the burritos. Even my children were cool with it. 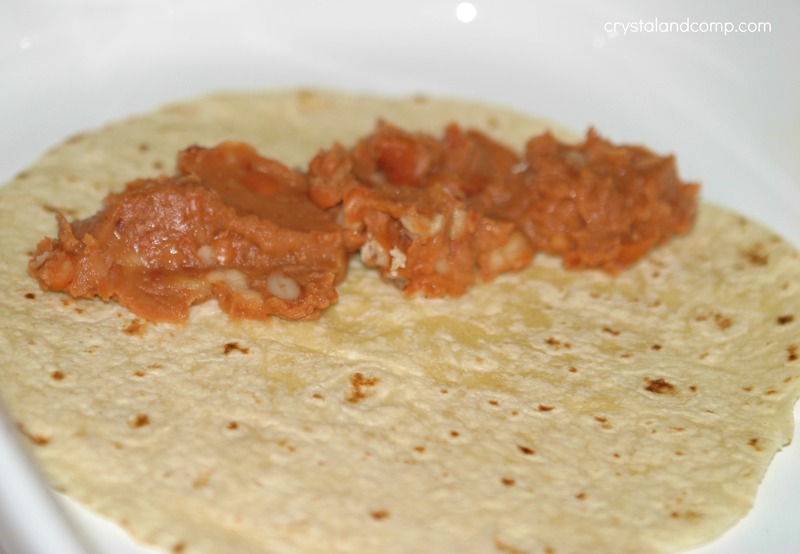 Scoop a generous amount of refried beans into the tortilla. Top the beans with some Avocado Verde salsa. Yum! This salsa is also great for dipping chips in. Did I mention it is addictive? 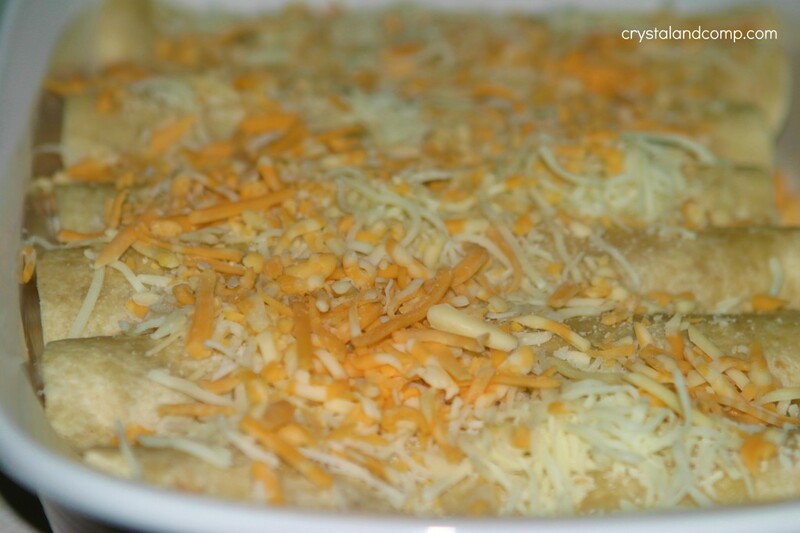 Top the verde with some shredded cheese. Roll the tortillas and place the burritos in a deep dish pan seam down. Top the burritos with some cheese. 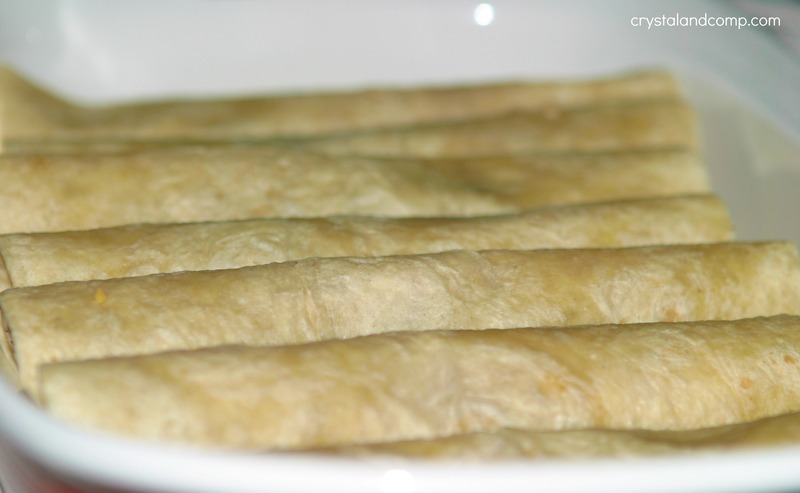 Pop them in a 350 degree oven and bake for about 20 minutes or so. 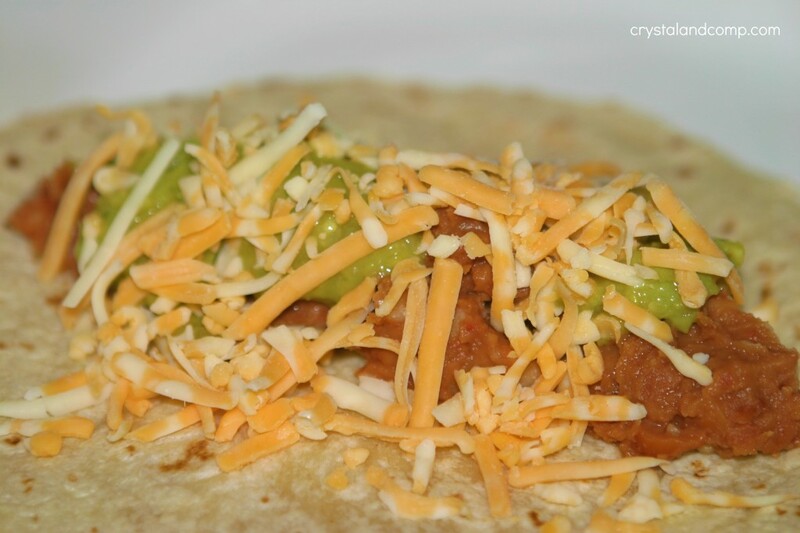 You just want to heat up the filling and melt the cheese on top. I added more Avocado Verde salsa to the top of mine. You can also top with sour cream or traditional salsa. My kids like to eat their burritos with their hands, so I do not add any other topping to theirs other than the melted cheese. I served these burritos with rice. I haven’t ever seen the Avocado Verde “Wholly” product in my small town… Gonna have to keep my eye open for it! Yum. 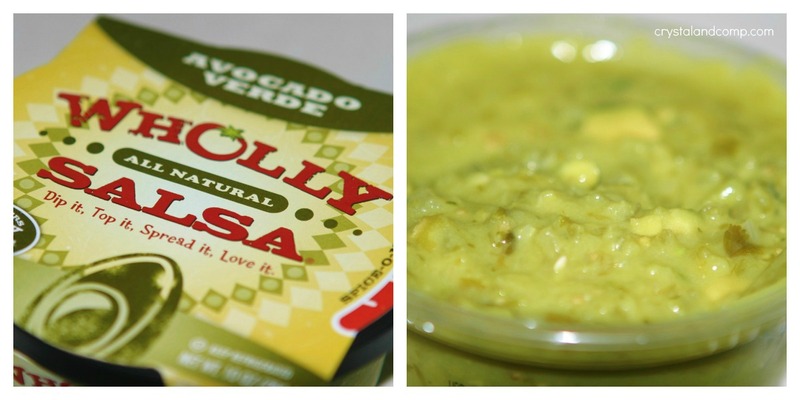 Wholly Guacamole products are good – I haven’t tried the verde salsa before. Thanks! Also, thanks for linking to Tempt My Tummy Tuesday. Lisa- the Verde Salsa was so good. It would have been great on nachos, dipped with chips, etc. It had a delicious tang to it that I loved. Hmmm… thought I left a comment earlier today… but it’s not here! Pretty sure that Salsa Verde “Wholly” product looks amazing… not sure my small town carries it, but it might we worth a road trip! Sally @ Splash of Whine recently posted..TUESDAY! This is something my kiddos would love! Jen- this was so simple and my kids loved it too. They ask for bean burritos all the time. Talk about an easy dinner. I love the avocado and green sauce, I haven’t seen that brand in my store, but I’ll keep my eye out! Thanks! 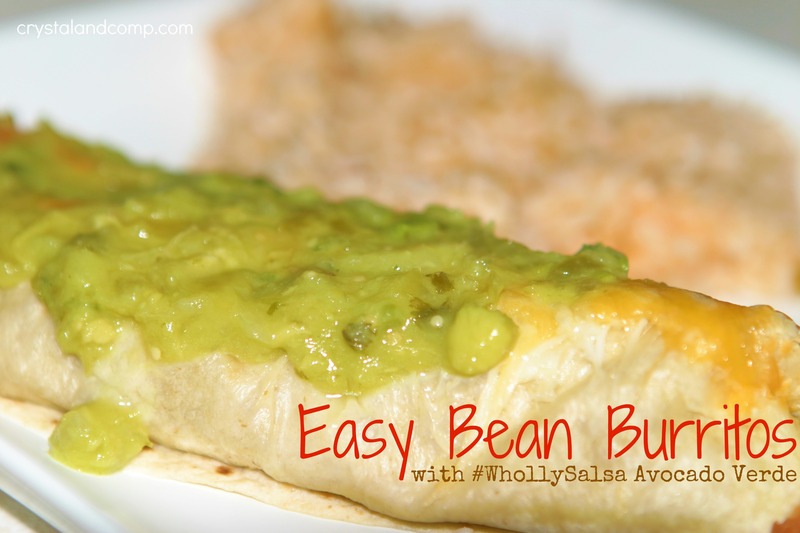 We just love a great bean Burrito, I haven’t seen that sauce , but will be looking for it to try. Hope you have a great week end and thank you so much for sharing with Full Plate Thursday. Avocado makes everything even better, don’t you think??? These sound yummy! Thanks for linking up to Share the Love Wednesday!